Our reviews say it all, recipient of more GigMasters Awards than any DJ/Live Entertainer. We are wedding specialists. For over 25 years we have been committed to personal service, providing DJ, Live Entertainment & Karaoke for Weddings, Social Celebrations & Company Events. We are dedicated to guaranteeing a great time for all, with engaging, professional entertainers using top-quality equipment. Please contact us to discuss the best package to suit your special event. We are members of the American Disc Jockey Assoc. (ADJA) and are fully insured. Disc Jockeys, Emcees, Vocalists, Jazz/Pop/Classical Musicians, Karaoke, Dance Floor & Uplighting, Photo Booth, Video/Photo Display Screens, Videography, Photography...and much more. We've Performed at: St. Regis Hotel, Union Square Ballroom, The River Cafe, Soho Grand, The Water Club, Battery Park Gardens, Hotel Gansevoort, Chelsea Piers, Penn Club, Salmagundi Art Gallery, Cornell Club, Loft 11, Manhattan Penthouse, Hotel Pennsylvania, Javitz Center, Tropicana Casino, Trump Plaza, Oyster Point Hotel, Westbury Manor, Lyndhurst Castle, Glen Island Harbour Club, Tonic (Times Sq. ), Planet Hollywood (Times Sq. ), Joshua Tree, Son Cubano, La Palina Restaurant...and many more. NBC Universal, HBO, Sony Pictures Television, Valentino, UniVision, Harper's Bazaar, Columbia University, Manhattan College, The Hewitt School, Horace Mann School, Planet Hollywood (Times Sq. ), Bank of Scotland, French Culinary Institute, Weill Medical College...and many more. John Alden, founder of Alden Entertainment, graduated Syracuse University with a degree in Music Business and Voice. Just out of college, he scored a position at New York's seminal Hip Hop/Dance label, Next Plateau Records, working with artists Salt-N-Pepa, and many others. John now performs over 200 shows a year as a DJ, Vocalist, Guitarist & Emcee. He co-founded the Vintage Rock band unBrothers, was a featured vocalist in the Sinatra Birthday Bash at the Count Basie Theater. John is also a songwriter who has performed for the Songwriters Hall of Fame and the New York SongCircle and whose songs have been featured in several films. His latest effort is the album of original songs, Dreams Don't Lie. He was great! Showed up on time. Easy to e-mail with. Played music we requested! 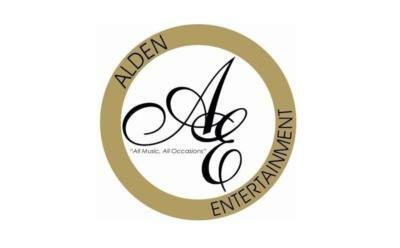 Alden Entertainment has done our office Christmas party for the past two years, and have done a great job! John was extremely easy to work with! He is very professional and went above and beyond our expectations to get us what we needed for our event! If we are ever in NYC again doing an event, we would definitely give him a call! Thank you John! Kelly was extraordinarily professional and created an ideal mood and environment for my event. I would heartily recommend her for any event. John did a superb job, very flexible in meeting our needs and was wonderful in taking requests! He was friendly, polite and very professional. I would not hesitate to use him again and would recommend him to anyone who wanted a talented dj. Kelly was great! She handled several unusual requests for intros and music, and communication was easy. She maintained a solid and fun dance floor with a diverse crowd -- mostly the older crowd earlier on and the younger crowd later on. She adjusted quickly when asked, and she had a great personality. John is terrific! He's not only very talented, but also very professional, courteous, responds promptly to questions, and was accommodating to anything we needed. We hired John to perform for our club's 85th anniversary Gala (200+ people) and were delighted with his live singing performance for the cocktail hour and as DJ for the dinner dance. John has a knack for reading his audience and selecting music that appeals to a wide age range. He certainly had our group up on the dance floor the whole night having a ball. We would definitely have him back for future events. John did a wonderful job of making this wedding very stress-free in terms of music, he set up a very great outline for us to fill out before the event to make sure we had everything covered. John did an awesome job at my wedding!!! I knew as soon as I saw his available song list on gig masters that he would be the perfect dj. One of my friends was about to request a song from John... and sure enough he starts playing that exact song. He has such an immense knowledge of music and it shows in his dj skills. I highly recommend John to anyone who needs a dj for any kind of event and any type of music. He made my wedding day absolutely perfect, I didn't stop dancing for a single second. Thank you John!!! Your requests 1940s to Top 40! 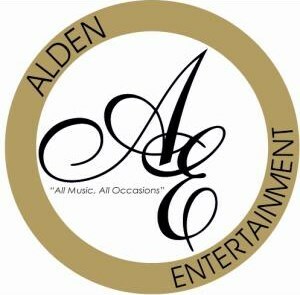 Please note Alden Entertainment will also travel to Roosevelt, Windsor, Freehold, Jackson, Howell, Tennent, Clarksburg, Farmingdale, Blawenburg, Edison, New Brunswick, Perrineville, Sayreville, Adelphia, Lakewood, Manalapan, Piscataway, Trenton, Wickatunk, Marlboro, South Amboy, Colts Neck, Flagtown, Holmdel, Imlaystown, Somerset, Zarephath, Cream Ridge, Lakehurst, Morganville.